The Argo MPUV-1C (commonly ‘Argo Cargo’) is a dedicated merchant transfer ship, a ubiquitous intergalactic stevedore. 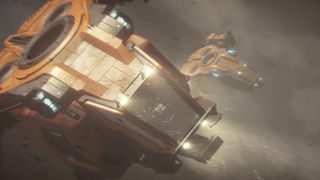 Vast numbers of Argo Cargos are responsible for loading and unloading goods onto massive long-haul transports and miners that cannot otherwise land on planets or drydocks, such as the Hull D and the Orion. Some captains choose to own and operate their own Argo, while others pay privately owned ships operating as port services a rental fee for performing the unloading process. MPUV Personnel: The MPUV Personnel is the personnel transport variant of the MPUV series. 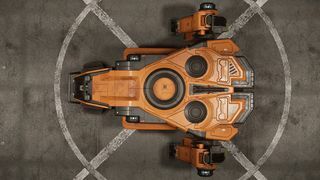 MPUV Military: The MPUV Military is the military variant of the MPUV series. The Argo MPUV is built out of composite alloys capable of withstanding intense temperature and structural pressures both in atmosphere and out. 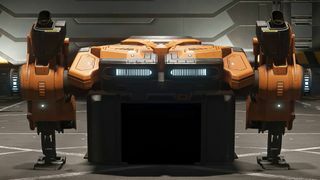 The modular undercarriage can be outfitted with a variety of different pods such as cargo pods and escape pods. 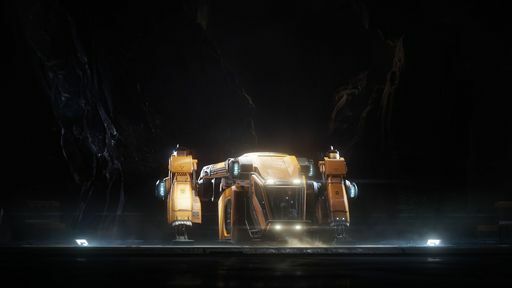 The combined VTOL thrusters and its Point-Precision Engines allows precise maneuver and heavy-lifting thrust. 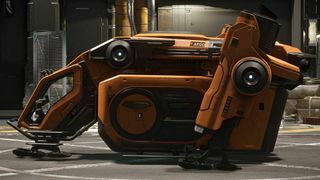 In a galaxy full of badass starfighters, impossibly complex explorers, massive cargo ships and rough-and-ready miners, is there room for some simplicity? The team at ARGO Astronautics says: YES. The ARGO may not be any kind of warship and it’s unlikely an ARGO will ever be the first to set down on an alien world… but they are an essential part of human commerce, which makes them a valuable tool for anyone interested in building a mercantile empire. 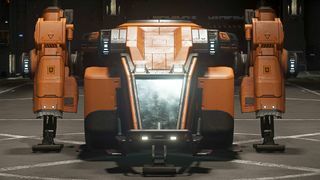 The MPUV platform, generally called the ARGO after the company that designs and produces the ship, consists of a universal cab attached to a variety of different role-specific modules. 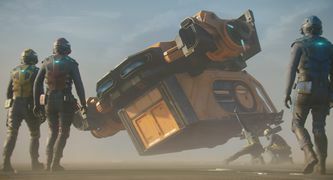 The United Empire of Earth’s military forces use ARGO variants extensively for everything from search and rescue to personnel transport to munitions loading. 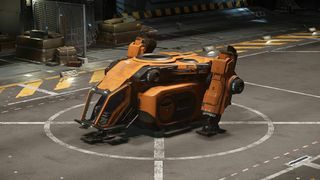 The ARGO is, by all accounts, easy to pick up and fly (many new pilots train on them) and especially effective in its particular roles. 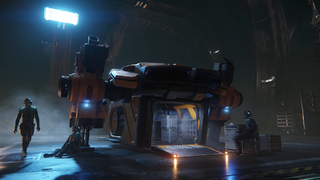 Today, two variants are available for service in the Stanton System. For a full gallery, see :Category:MPUV Cargo images.